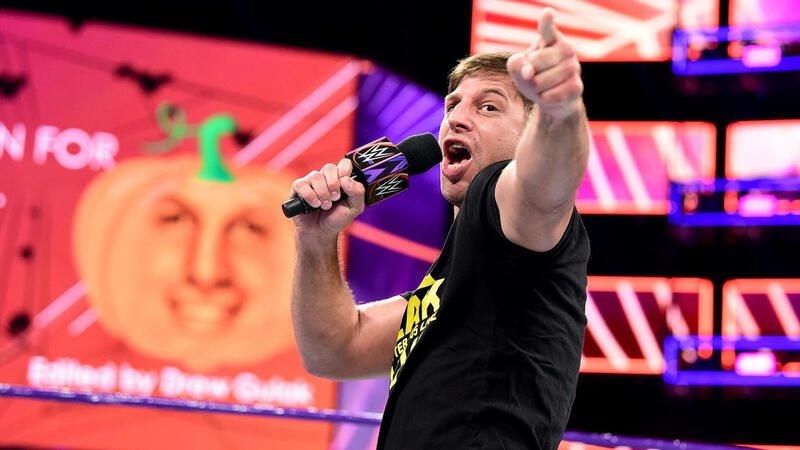 It's kind of been implied ever since they reinstated the cruiserweight division on RAW, and subsequently on 205 Live, but this week I'd like to talk about how WWE doesn't seem to understand what they really want to do with it. Ever since Enzo Amore jumped on the division and especially after he won the Cruiserweight Championship and turned heel, the cruiserweight scene developed two distinct faces: the established setting of 205 Live that's nuanced and hardworking, with stories for just about everyone involved, and a watered-down version on RAW that Vince and Creative think people will easily get into. When before the cruiserweights would only get two five-minute segments on a good day on RAW, now they get something completely different, and any discrepancies created are left to the commentators and writers to fix on 205 Live. Remember when everyone ganged up on Enzo Amore after his title win? They immediately wrote Ariya Daivari, who would end up being Enzo's biggest ally on the show, to turn around and claim mob mentality. When the cruiserweights would gang up on him yet again a couple of weeks later on RAW—Daivari still included—Enzo and the commentators had to acknowledge the plot hole. While whatever's going on with the Cruiserweight Championship is usually what's consistent between the two shows (it has to be, of course, especially because the title is defended on PPV) the biggest crime they committed was whitewashing everyone else's feuds just to show a united front against Enzo. It's not happening as much now that Enzo's a full-fledged heel and the rest of the bad guys are embracing him, but it goes to show you how unimportant they consider the hard work that's been going into the 205 writing. But hey, it's still happening. When Enzo conscripts Drew Gulak to be his spokesperson of the week on RAW to have him lose to Kalisto to advance their feud, but Gulak goes right back to Tozawa on 205 without mentioning Enzo or Kalisto at all, you know this is still a problem. When neither Enzo nor Kalisto even show up on the episode, you know you've really got a problem. I'll pose the choices here once again: either you start portraying the cruiserweights on RAW exactly as they are on 205 Live, no whitewashing, or you allow them to compete with the heavyweights. It's that simple. 205 Live 10/31/17 Grade: It was the Halloween episode so you know exactly what to expect, but they tried. It just didn't take off past the opening match. B-. Gulak/Tozawa worked hard in front of a crowd that just didn't care, but they weren't without fault either. I actually can't tell if this Tozawa win marked the end of the feud because they made him give so little in the whole story. I'll say it again: Tozawa losing Titus O'Neil as a mouthpiece hamstrung him so much, and I won't be surprised if he would be the next guy to walk out after Aries and Neville. Still not sure how to feel about Rich Swann and Cedric Alexander wrestling as clowns. They tried to set it up backstage, which was a valiant effort, but it felt like nobody really wanted to make it work. I mean Swann and Kendrick wrestled the best they can, but they didn't really sell the clown bit as they should have. It would've worked as a mind game, but no one seemed interested in exploring that nuance. The main event is what it was, and as the theme of this week's episode seems to be, they did the best with what they had. See, if they had a ladder ranking, Mustafa Ali's win could have meant something. 1. Enzo Amore, no movement — It's two weeks away from Survivor Series, so Enzo could afford not doing much. 2. Kalisto, no movement — Kalisto wins over Drew Gulak on RAW to presumably strengthen his last shot at the title. 3. Cedric Alexander, no movement — Helps his buddy Rich Swann to beat Kendrick today and stop from turning to the dark side. Also beats Tony Nese on Main Event. I hope they explore his psyche even more in the face of the Sith trying to get him to turn. 4. Rich Swann, no movement — See Cedric Alexander. 5. Mustafa Ali, #7 last week — Wins the fatal four-way main event on 205 Live, but for what, really? 6. The Brian Kendrick, #5 last week — Sees his campaign to turn Cedric Alexander fail... for now. 7. Jack Gallagher, #6 last week — See Brian Kendrick. 8. Akira Tozawa, #11 last week — Climbs back up after dispatching Drew Gulak, but for what? 9. Gran Metalik, #10 last week — Did well at the fatal four-way. 10. Drew Gulak, #8 last week — Drops down a couple of spots after taking some tough losses this week. 11. Ariya Daivari, #9 last week — Loses the fatal four-way, but doesn't even get to be Enzo's sidekick on RAW this week. 12. Tony Nese, #13 last week — Still losing a lot, but at least he's showing up on TV? 13. TJP, #12 last week — Still missing. 14. Noam Dar, no movement — He'd drop lower if the last spot wasn't actually Neville. 15. Neville, no movement — Even though he's gone, I'm keeping him here just because there actually isn't a 15th guy in the division right now.